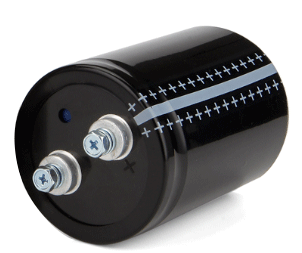 Capacitors are used to minimize losses and reduce operating expenses. Capacitors should be placed to maintain the voltage. Basically reactive power demand will be more at load side of the power system, hence capacitors should be placed as close as possible to load. Shunt capacitors and series capacitors are always employed in power system for different purposes. Shunt capacitors and series capacitors in the power system generate the reactive power to improve the power factor and voltage so as to enhance the power system capacity and reduce the losses. For the same voltage improvement, the rating of the shunt capacitors will be higher than that of series capacitors. Series capacitors are generally employed to improve the stability of the system and shunt capacitors are generally employed to improve the power factor of the system. Previous： How does a Shunt Resistor Work?